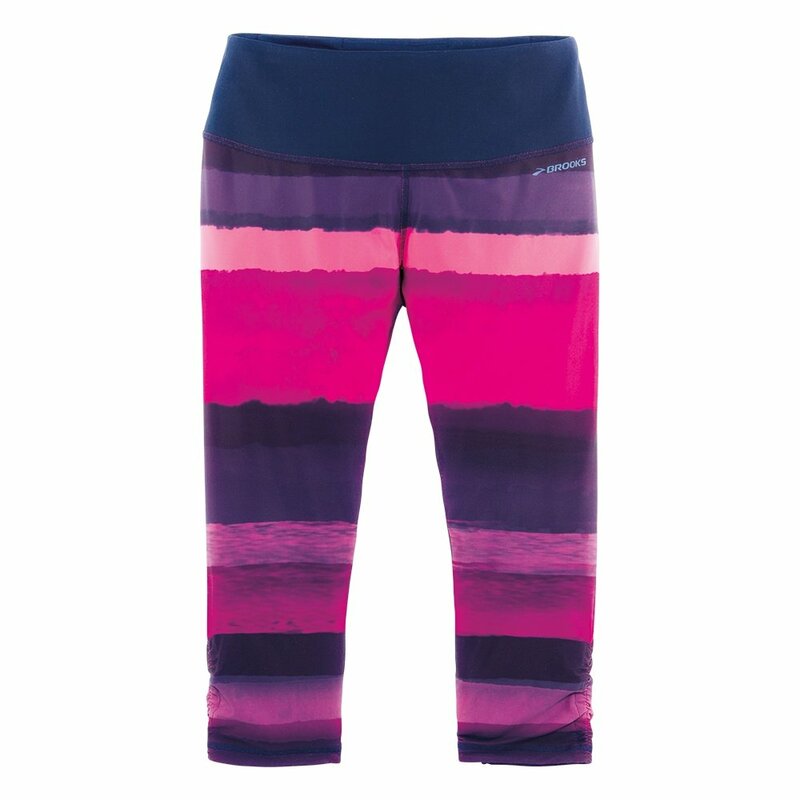 Comfortable and versatile, the Brooks Greenlight Women's Running Capri SE is a reversible design that gives you the choice of a fun print or an essential solid so you have options when you're getting ready. However you wear it, the DriLayer® HorsePower Construction uses a blend of moisture-wicking polyester and supportive spandex to give you a fitted feel that helps you feel comfortable and confident on your run. The wide waistband hides two pockets, one of them sweat-proof so you don't have to feel weird about handing over cash if you stop to buy a mid-run snack.